MacBook Air is the Apple’s premium products, a track of Macintosh subnotebook computers designed and industrialized for its users worldwide. The 256GB MREC2 silver is one of the best articles among the 13-inch Air 2018 series. The thin lightweight physique encompasses smartly erected aluminum case and full-size keyboard. The Mac Air can be purchased from Paklap.pk, a long-lasting Apple’s re-seller, with projecting specifications like 13.3-inch (33.782 cm) screen size, 256GB solid-state drive storage capacity, and the ever aesthetic silver color. The absolute agile MacBook Air MREC2 features Force Touch trackpad, decorative Retina display, latest-generation keyboard, powerful battery, and Touch ID - the best features a user always wishes for. One hundred percent recycled aluminum has been used in the manufacturing of whole outward surface of the laptop. The 2018 ultraportable MREC2 Apple laptop is graded at the premier rank among the previous MacBook series because the model uses dual-core Intel Core i5 processor that functions with a vicious 1.6 GHz turbo boost up to 3.6 GHz (4-MB L3 cache) speed. The Mac drives with built-in 8 GB installed RAM i.e. 133MHz LPDDR3 onboard memory. The sufficient amount of memory entitles the user to concurrently work with composite apps excluding the fear of system break. The feature is a hot cake for IT professionals who work on high level and low-level languages programming modules. Graphic designers equally adore the 256 GB PCIe-based SSD hard drive size as they catch capacious space for their videos, audio, iMovie’s etc. With all this far-reaching digital stuff, users don’t notice the absence of optical drive and card reader. The latest MacBook Air MREC2-Silver 2018 glees the users with Intel UHD Graphics 617 shared graphics memory. Intel is solely overruling in the perfect assembling of graphics processors. Apple has injected Intel UHD in MacBook Air 13 to formulate high-resolution Retina display that emulates 48% colors increase as compared to the previous generation. The graphics intelligence performs its functions through 16:10 aspect ratio on 13.3" (diagonal) LED-backlit display using IPS technology; 2560-by-1600 native resolution at 227 pixels per inch with support for millions of colors. With this much wonderful resolution, the user does not recall the lack of dedicated graphics and switchable graphics features. The novel Mac Air 13 2018 MREC2 in-houses an integral 50.3 watt-hour lithium polymer battery that supplies power up to 12 hours wireless web, up to 13 hours iTunes movie playback, and up to 30 days of standby time. A full day battery without charging need is a mouthwatering hot cake for travelers because this much portable powerful Mac was never there before. The MREC2 silver Mac converts itself into the user’s notebook on which one can work all day long on the web, worksheets, notes, payroll apps, financial workbooks, and documents without battery charging. Travelers can enjoy a non-stop movie watching holiday time without plugging in as the Mac can work for 13 hours. The silver robot weighs only 2.75 pounds (1.25 kg). Apple constructs its bodily dimensions (WxHxD) as 0.16–0.61 inch (0.41–1.56 cm) height, 11.97 inches (30.41 cm) width, and 8.36 inches (21.24 cm) depth. The system is associated with 2 USB ports, one USB and second USB 3.0 i.e. 2 Thunderbolt 3 (USB-C) ports with support for charging display port Thunderbolt (up to 40 Gbps) USB-C 3.1 Gen 2 (up to 10 Gbps). The connectivity is more than enough for common users, businessmen, graphic designers, marketers, and IT professionals. Three microphones for microphone input and 3.5 mm headphone jack for headphone output successfully fulfills the hearing needs. The speakers sound with more bass to offer fuller sound with a wider range which is 25% enhanced volume than the previous generation. The 720p FaceTime HD camera captures live videos, one-to-one and group audio-video calls. All hardware functions under the intelligent primary operating system i.e. Mac OS. Paklap.pk offers the 256GB MREC2 silver with a full strength keyboard that uses the latest butterfly mechanism. The keyboard is provided with 78 (U.S.) or 79 (ISO) individual LED-backlit keys that include 12 function keys and 4 arrow keys plus ambient light sensor. The integrated Touch ID sensor secures the laptop by making the user’s fingerprint as his password. In addition, the system holds a Bluetooth 4.2, 802.11ac Wi-Fi wireless networking; IEEE 802.11a/b/g/n compatible. 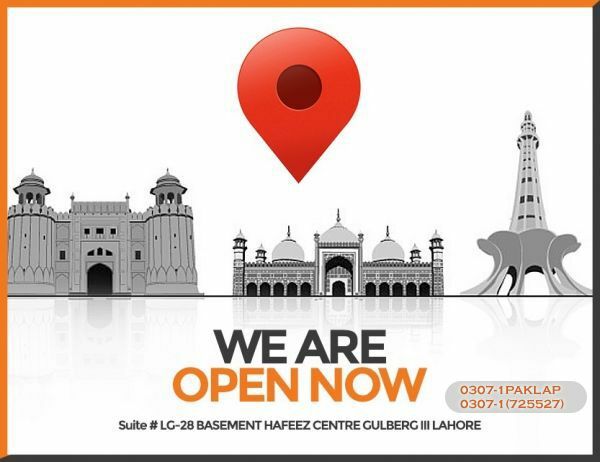 The online store, Paklap.pk gives 11 months international warranty in all-out low price. The manual can be accessed from https://www.apple.com/macbook-air/specs/ whereas the product page can be viewed on Apple website https://www.apple.com/macbook-air/specs/. If you’re interested in purchasing this Apple’s new laptop then just click on the Buy Now button and place your order now. Paklap offers the lowest price of Apple MacBook Air MREC2 (2018) 8TH Generation Silver in Pakistan with the fastest delivery time of 24 to 48 hours all over Pakistan.